The capital of Andalusia, Sevilla is a historically significant city of Spain. The city oozes the old world charm with its Gothic Cathedrals, Mudejar Palaces and age old tradition of Flamenco Dances. The medieval feel of the city through its winding streets and architecture seduces you to get lost in this paradise. The city brings you to life with its Fiestas, such as, Feria de Abril and Semana Santa where the whole city stops to celebrate these festival to their heart´s content. Sevilla is a very walkable city and can be best explored on foot. The city is known for its Siesta lifestyle, which is, napping from 2 pm to 5 pm! Embrace the siesta, do some photography, or go take a nap and save yourself from the scorching Sun of the South!!! One of the most impressive plazas of Spain, Plaza de España of Sevilla, is a mix of Renaissance, Moorish and Spanish Architecture with heavy mosaic inlay works which makes it stand out. It is known as the Venice of Sevilla and one can enjoy a boat ride in the canal on a hot summer day. Also available are the horse and carriage rides at the entrance of the Plaza! The largest Gothic Cathedral of the world and the 3rd largest Cathedral of Europe, the Sevilla Cathedral was constructed in a span of 500 years and is also the tomb of Christopher Columbus. The ticket to this grandiose monument includes climbing up the Giralda Tower. Giralda Bell Tower is one of the landmarks of Sevilla and the bell tower to the largest Gothic Cathedral of the world. The top of the tower can be reached by clibing 34 sloping ramps to be rewarded by a splendid view of the city. During the Muslim reign, the tower was used by the muezzin to announce the prayers 5 times a day riding a horse up the ramps, the reason why there are no steps! Under the rule of Muslims, El Divino Salvador was originally built as a mosque. But after Spain attained its freedom, it was converted into a Cathedral. It was the first ever mosque built in Spain. Now a Baroque church, El Divino Salvador with its intricate rich gold ornamentation, the interiors can't be missed. Recommendation : At the entrance of El Divino Slavador, purchase the combined ticket to El Divino Salvador, Cathedral of Sevilla and Girlada Tower in 9€. This also gives you the opportunity to skip the line in Cathedral of Sevilla be showing this ticket. This giant majestic sun shade also called Las Setas de Sevilla (The Mushrooms of Sevilla) is the largest wooden structure in the world. The basement of the structure holds an Antiquarium which displays the Roman ruins which are worth a visit. The top floor which can be reached by walking on this structure, gives a spectacular view panoramic view of the city. The entry for the top floor is 3€ which includes a in the bar! The most relaxing experience in the heart of the city of Sevilla has to be the Ancient Arab Baths at Aire de Sevilla, a 16th century conserved mansion with stone arches and stunning lanterns. You have to experience it to believe it. Click here to know more! The traditional Flamenco dances of Spain with stomping feet and fiery passion is a must watch. Book your experience in 18€ per adult at Casa de Memoria. Click here to know more! You can't get enough of churches and cathedrals in Sevilla. Another beautifully decorated church with frescoes all over reopened last year for public. 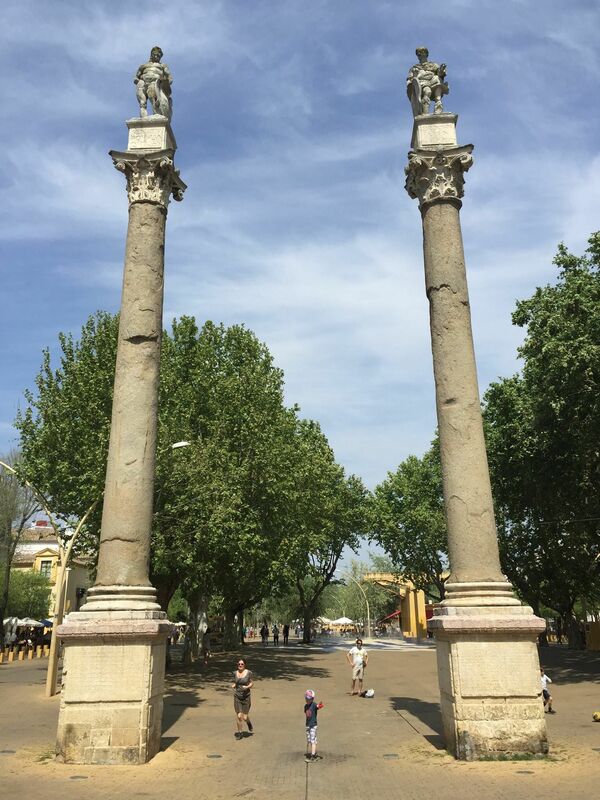 Your blog on Seville is far too good….lot of perfect information and tempted to the tour with you as my mentor. Well I really enjoyed reading it. This article provided by you is very constructive for accurate planning.